"Buying or selling a home does not have to be a stressful process. In fact, it can and should be, hassle-free and enjoyable. As a Real Estate Agent, my main goal is to make sure that each and every client I serve can agree to the latter. Good communication, including truly listening to client wants and needs, from beginning to end, is how I achieve this goal. I bring outstanding negotiating skills and customer service skills to the table to help my clients achieve optimal results." Ailea was born in WI, but grew up in South Minneapolis. Her family has owned a 500-acre dairy farm in WI since 1865 when they came over from Norway. There, she learned how to work hard from a very young age, contributing to her strong work ethic, customer service skills, and drive for success. Ailea does best when busy, so in addition to work, likes to remain active by participating in sports - soccer, basketball, and softball. She attended the University of Wisconsin-River Falls, where she focused her studies on Animal Science and Criminal Justice. Ailea was also on UWRF's collegiate equestrian team where she was able to travel and compete against other colleges. 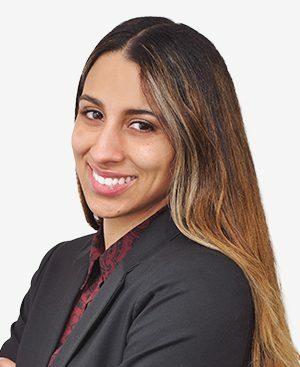 Ailea has a passion for real estate and knows the importance of creating a great bond with her clients to better understand their wants and needs, and ultimately get them into their dream home! My dream job would be… Real Estate, but my Plan B would be a Zoo Veterinarian or Olympic Equestrian. My first job was… Helping at my grandparents’ dairy farm (at age 7), milking cows and bailing hay, but my first job at a legal age was working at a Dairy Queen/Orange Julius. When I’m not working, you’ll find me… On an adventure or riding my Friesian horses. The best “unknown” restaurant I’ve been to is… Pepito’s in Minneapolis! My favorite food is… EVERYTHING, I love food! Favorite vacation spot… I love to travel to new places, but my favorite spot so far has been the Bahamas.